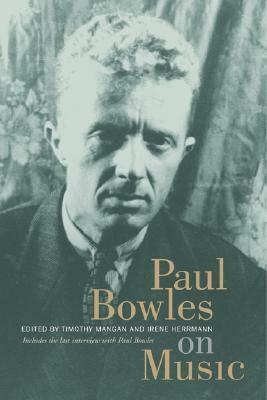 Paul Bowles, the writer, meets Bowles the composer, who wrote music criticism in the 1940s. The critiques he wrote in themselves are not that fascinating, but what's interesting is the culture that was presented in New York City during that era, and the coverage of the mainstream media at the time, with someone smart and brilliant as Bowles covering the "Waterfront." Bowles as most of us knows as readers is a writer of great skill but also wrote from a great distance. His work, especially his short stories, is reporting another culture, which is odd, strange, and unknown to the westerner. In a sense, Bowles was the head ant investigating the other culture for food and music and reported back to the American culture of that and future time. What you see here is Bowles, primarily a composer at the time, writing about various music recitals/concerts that took place in Manhattan. The majority of the events are classical recitals, but there are some side trips to see jazz (at mostly big venues) and folk (again, in major concert halls of the time). He doesn't go to jazz or folk nightclubs to do his reporting, but mostly to places like Carnegie Hall and so forth. So, in a sense, he's reporting on music culture, not for the specialist, but in most cases for the casual reader who looks through the newspaper for local news or events. Some articles he did write for special interest publications, but even these pieces are geared for a broad readership. As a writer and a publisher, as well as someone who loves music and music criticism, I find Bowles extremely important. For one, I love his music, what I have heard so far, and two, it's fascinating to notice his 'place' in that society that was New York. He was very interested in other cultures even in the 1940s, and often it seems like he went to South and Central America to discover new music, but was disappointed to realize that even then, countries were officially hindering certain type of music for a more commercial take on that world. Bowles also covered film movie music for a specialist magazine in that field. As far as I can gather, he would go to see the film, and just report on the music how it was used in the film. That's interesting! Also, he reviewed books on music (again, mostly classical, but some books on jazz) as well as recordings. So he was probably one of the earliest critics to talk about records, for a well-read journal/newspaper, the New York Herald Tribune. Also, there is an interview with Bowles, one of his last conversations with an interviewer about him working as a critic. That alone is a fascinating document.